Junk files can accumulate on your computer, creating various system performance problems that can make your computer become slower and less responsive. Junk files can be accumulated from various sources, including software installations and uninstallations, file duplicates, browser history and cache, fragmented hard drives, and other sources. 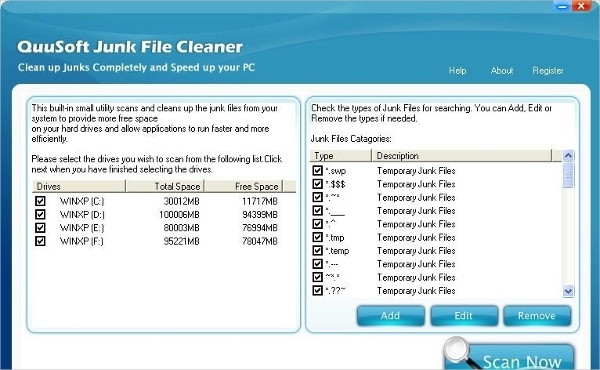 Junk file remover software can help you to clean your computer from junk files, and thus, boost your computer performance significantly. FileCleaner is a junk file remover software that allows you to clean your PC in real time, providing a faster PC performance as a result. It features automatic PC cleanup, fix Windows errors, delete browser toolbars, uninstall any programs, file shredder, and file management. It is available for Windows XP, Vista, 7, 8, and 10. 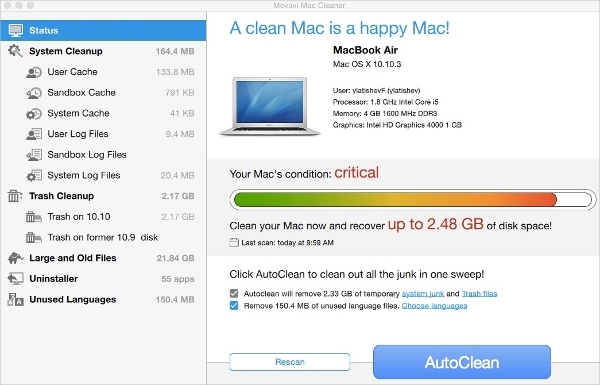 JetClean allows you to clean your PC in a single click and improve your PC performance easily. It features one-click clean, fast and powerful Windows cleaner, PC performance improvement, create a stable Windows system, and faster PC startup. It is compatible with the 32-bit and 64-bit versions of Windows 2000, XP, Vista, 7, 8, and 10. Wise Disk Cleaner is a junk remover software that helps you to clean junk files from Windows and browsers, as well as defragment your hard drives. It allows you to clean useless files securely, make your computer run faster, protect your privacy, defragment your hard drives, and schedule automatic disk cleaning. It is available only on Windows. 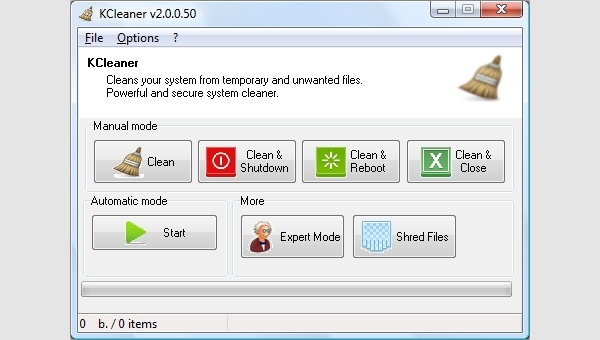 Junk Files Cleaner Utility is a cleaner utility that is designed to remove junk files from your system, so that you can free up some disk space. It removes various useless files, including Windows Temporary Files, invalid start menu, obsolete files, invalid shortcuts, user-defined junk files, and empty files. It is available both for old and new versions of Windows. QuuSoft Junk Cleaner helps you to scan your system thoroughly and remove junk files from your system to free up some space. It features remove backup files, remove large crash files, remove zero size files, remove logs and temporary files, and free up disk space. This software is available for all Windows platforms. Disk Cleaner Free is a free utility that allows you to clean all kinds of junk and temporary files on your computer to boost your PC and free some disk space. It features clean all disks, clean internet activity, delete cookies and temporary internet files, clear cache files, delete history records, built-in file shredder, and safe file deletion. This software runs on all versions of Windows. Auslogics Registry Cleaner is a registry cleaner software that allows you to remove invalid registry entries and improve your PC performance. 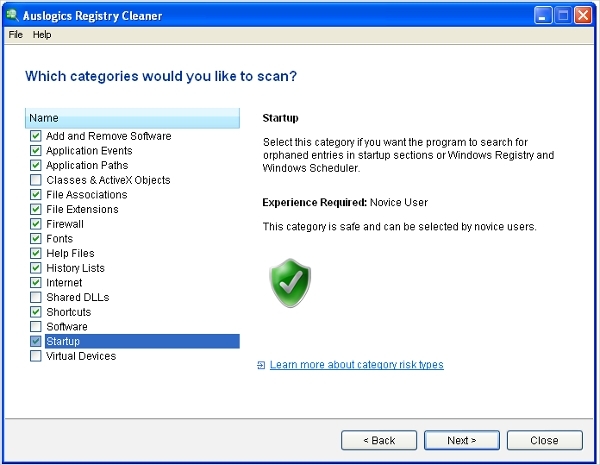 This software gives you full control of the registry entries that you want to remove or keep. It is available only on Windows. CCleaner is a PC cleaning tool that allows you to clean your PC from various junk files, as well as keep your privacy protected. It features privacy protection, real-time monitoring, scheduled cleaning, automatic updates, disk defragmentation, file recovery, and hardware inventory. It is available for Windows platforms. 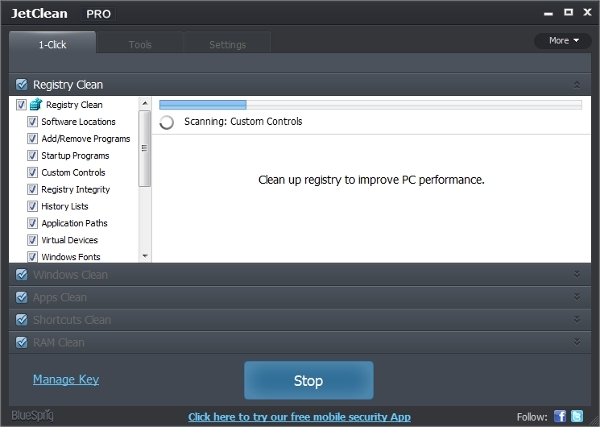 Remo Privacy Cleaner provides a one-click cleaning solution that allows you to remove all types of junk files and protect your privacy on your device. It offers various features, including one click clean, clean PC junk, clean browser junk, clean free space, and 3 different wiping patterns. This software is available for Windows, Mac, and Android. Most PC performance problems are caused by junk files and corrupted or invalid registry entries. This is why most junk file remover software is available on Windows. However, this type of software is available for other platforms as well. 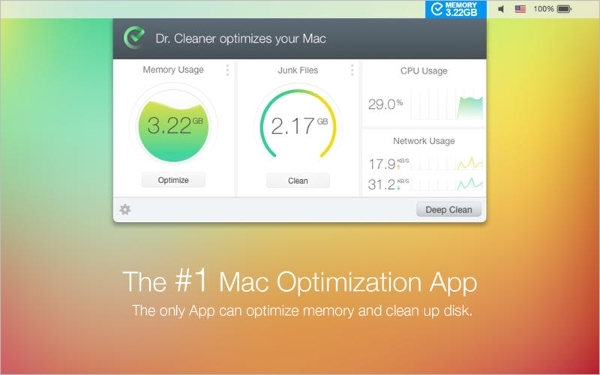 Dr. Cleaner is a file cleaner app for Mac that allows you to clean all types of junk files, remove apps, as well as optimize memory and CPU usage. It offers various features, including smart memory optimizer, junk files cleaner, big files scanner, and duplicate finder. Movavi Mac Cleaner is a simple utility that helps you to clean your Mac computers from various useless and junk files. This software can remove various unnecessary files from your Mac, including cache files, log files, trash bins, unused localizations, large files, old files, and duplicates. 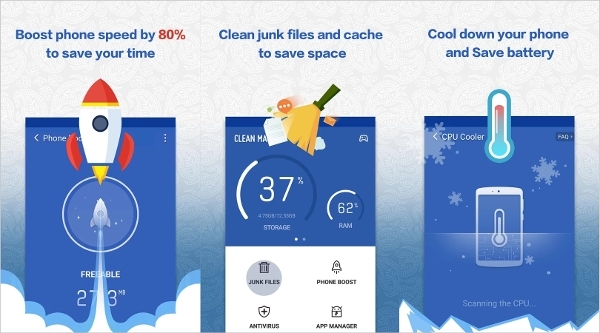 Clean Master is an Android app that allows you to clean unnecessary files on your Android devices, as well as optimize your device for optimum performance. It features application lock, battery saver, iSwipe, junk file cleaning, memory boost, CPU cooler, antivirus, and app manager. Linux Disk Cleaner is a junk file remover software that is available for Ubuntu Linux. This software allows you to clean junk files and unnecessary packages from your system, so that you can free up some disk space and boost your system performance. 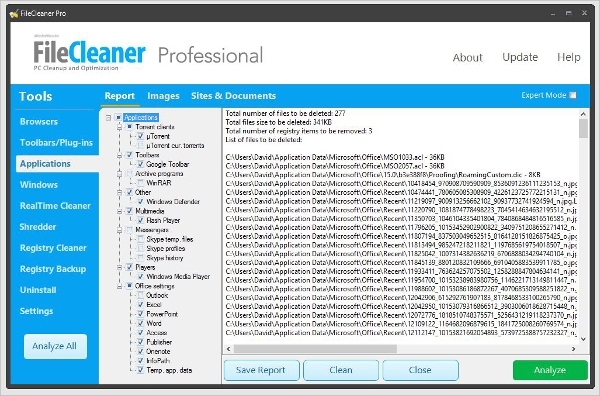 KCleaner is a simple cleaning utility that allows you to thoroughly scan your hard drives and delete any unnecessary junk files from your system efficiently. It features the detection and deletion of temporary and useless files, automatic mode, secure file deletion method, and expert mode. This software is available for Windows. What is Junk File Remover Software? Junk file remover software is a type of software that allows you to delete all junk and unnecessary files on your computer. Junk and unnecessary files can pile up on your hard drive and create some performance problems for your system. Not only that, it can fill your hard drive space very quickly. This software helps you to remove junk files from your system so that you can increase your system performance and free some space on your hard drives. How to Install Junk File Remover Software? 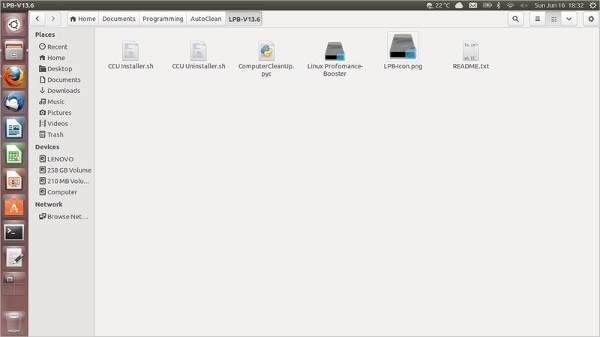 In order to install a junk file remover software, you need to download the installation file from the official website of the respective software, and then run the installation file on your system. Remember that since some junk file remover software is not a free software, you need to pay for the software first before you are allowed to download the installation file. Removing junk files from your system should be done regularly. This is because as time goes by, you are accumulating junk files on your computer from various sources. You might not even realize that you have accumulated too many junk files until you experience a system slowdown. So, it is important for you to use junk file remover software regularly in order to keep your computer clean and tidy. By doing that, you will be able to keep your system running smoothly.